I don't know what it is, but I'm feeling crafty at the moment, though everyone knows the best crafts are completed once the children are in bed. I can it "testing it out" but usually I never actually repeat the craft! With Halloween coming up, I really love this "Fairies in a Jar" idea, I got if from another website a while ago, but can't remember where! My son is really into Peter Pan and Tinkerbell, so I thought it would be nice to make him his very own fairy jar so he can pretend he is Peter Pan! All you need is a jar and some fluorescent paint, mine came from Hobbycraft. Basically you need to dab the INSIDE of the jar with the paint (do smaller dots than I did to make it look better! ), do as many as you can then leave to dry. Once the paint is dry, you then need to charge the paint to ensure it glows once it's dark. This takes quite a while and it's probably best to leave it on a windowsill all day. Fairies in a Jar innit. Once the paint is all "charged" (there is science there but I don't know what), you are ready to go. 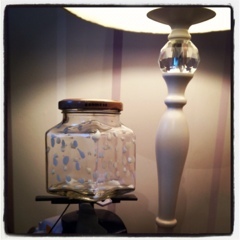 Take the jar into a darkened room and watch the "fairies" light up! My son was utterly entranced and delighted. It's a great way to introduce a story about fairies and really bring it to life. Pretty as a Picture in Folk Dresses! House of Fraser, Dresses and Me! Children - can you afford the cost? 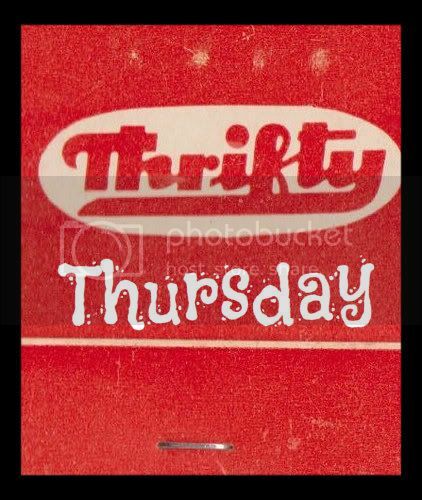 Thrifty Thursday - Contact Lenses - How much! ?